Begur is a small municipality town in Catalonia, Spain. 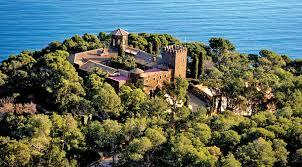 It is located on the coastline of the Costa Brava. This small town has only 3,957 inhabitants according to the census of 2016 and might have added a few hundred in the last few years. This town is filled with beaches and nature parks. So if you want to just laze around gorging on some classic Catalian dishes, and relaxing on the beaches, then look no further. 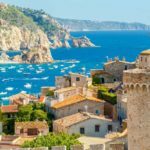 Begur used to be nicknamed “little Africa” as one has to take a deviation from the main land to get there. 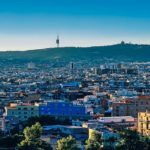 However, this colourful and mysterious town, with streets filled with Moorish and Spanish architecture is an inviting sight for all. In the late 19th century, the local merchants returning from Cuba constructed the neoclassical mansions. It is believed that these merchants traded with the merchants of West Indies and Americas, and their houses are rumoured to have hosted pirates. 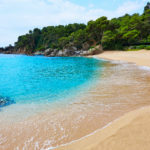 Plage de Sa Tuna- There are many tourists who come here for a short duration, however, the beauty of this place captivates them, and they choose to prolong their vacation. This beach is a real jewel in the crown and you can spend the entire day in the bar Javi, or the adjoining restaurants. Playa Fonda- This magical beach has big rocks all around and many found it a perfect destination for meditation. This place is also known as ”Platja Fonda” which means “deep beach.” Its cinder grey sand mixed with the crystal clear azure sea water creates such a mysterious aura, that many find it a heaven on Earth. Jardi Botanic de Cap Roig– If you want a break from visiting the rest of the beaches, then visit this botanical garden one day. These gardens were created by a married couple, the Woevodskys, in 1927. You will find about 1000 different plant species here. This garden also includes the iconic castle, built with the local iron-rich rock. So you can plan a small picnic with your family here, and the kids can run around the trees and play some games. 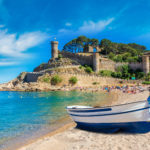 Castell de Begur- This place is a ruin, however, many love it as it is surrounded with the ocean on one side and the town of Begur on the other side. There is a cool Sundial at the top, and you can hike up to see it. This place was wrecked by Spanish troops in 1810 to impede the advance of Napoleon’s army. So after enjoying the breath-taking view of the hills for a while, you can descend down to enjoy one of the beaches again. 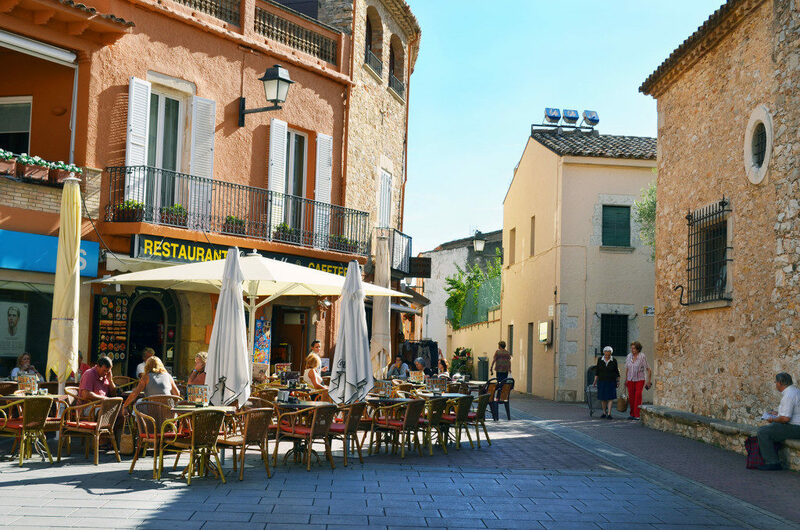 Village Medieval de Pals- Pals is known as one of the most charming villages and you can enjoy the gastronomic and cultural events while taking a leisurely walk around the village. Perched on a hilltop, this village was built around a fortress and it has retained its medieval charm. While walking down the streets, you can enjoy the architectural features such as picturesque arches and doorways. You can take pictures with the flowers all around the village. 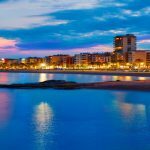 Other beaches- Playa Sa Riera, Playa de Aiguablava, La playa de Tamariu, L’illa Roja and Playas de Calella are some of the other famous beaches which you can visit and enjoy. Other tourist attractions- Lighthouse of San Sebastian, Torre de les Hores, Faro de Sant Sebastia, Peratallada, Fundacio Josep Pla, Montgri Castle and Museu d’Arqueologia de Catalunya – Ullastret are some other lighthouses and places of historic importance in this small town. You can visit them at your leisure and enjoy a complete holiday. Once, you have got enough sun tan, and you are ready to go back home, your heart will surely ache for another holiday in this beautiful and romantic place. 9 of the best life hacks for reducing stress! More Amazing Memories in 2019? Let us help you! Use this checklist to find out if renting a villa is the best idea for your holiday! Santa´s Christmas Present to You !